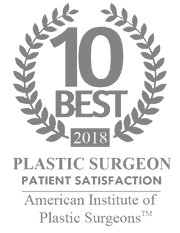 Botox patients have consistently ranked Gorin Plastic Surgery & Medspa among the greatest and most popular free-standing, fully accredited plastic surgery practice. The excellent reviews from their patients are due to the individualized attention that Dr. Gorin and his staff gives each patient. Thorough consultation prior to any procedure to determine the patient’s goals for the procedure such as using botox injections for migraines, what the cost of injections will be, and possible botox injection side effects. Whether you know very little about wrinkle treatment or care for fine, frown lines on the face or if you have done extensive research on BOTOX Cosmetic, you will be given a thorough consultation prior to any procedure so that you fully understand what will happen before, during, and after your injection(s). Gorin Plastic Surgery and MedSpa provides a personalized approach to each patient, with each aesthetic procedure being tailored to meet the patient’s unique and individualized needs with plenty of accurate, current info provided by our team so that you can make an informed decision about whether BOTOX is right for you. Patients have different reasons for considering Botox injections, such as frown lines, crow’s feet, forehead creases and even for headaches and migraines. No matter your case, Dr. Gorin’s team offer the quickest, easiest and most effective use. BOTOX injections are currently the only treatment of its kind that has FDA approval. As long as a patient goes to a reputable plastic surgeon, the injections are completely safe. In fact, the injections are done in a quick, non-invasive manner that can be completed in about 30 minutes. The injections include botulinum toxin Type A. This is a naturally occurring protein that will relax a patient’s targeted muscles. While relaxed, the muscles do not contract. Muscle contractions are responsible for creasing your skin, so the injection site will be left with smooth skin that has a naturally young look and feel. There are more than 20 proven medical uses for BOTOX injections. This includes chronic migraines, especially in aging patients. A patient that suffers from long-lasting headaches of 4 hours or more might want to consider this treatment. A chronic migraine patient is anyone who suffers these headaches that do not seem to end at least 15 times in a given month. BOTOX is also the only FDA-approved treatment for hyperhidrosis, or profuse sweating in the underarm (armpit). The injections block chemicals that trigger sweat glands to prevent embarrassing sweatiness in this area. It is important to note that while your underarms will not sweat after an injection, the rest of your sweat glands and nerves will not be affected. The rest of your body will continue to sweat as it normally does. BOTOX injections are currently the only treatment of its kind that has been approved by the FDA. As long as a patient goes to a reputable plastic surgeon such as Dr. Gorin, the injections are completely safe. In fact, the injections are typically done in a quick, non-invasive manner that can be completed in as little as 30 minutes. Injections include botulinum toxin Type A, a naturally occurring protein that relaxes a patient’s targeted muscles. While relaxed, the muscles do not contract; muscle contractions are responsible for the creasing of your skin that you see around your eyes, mouth, and forehead, so the injection site will be left with smooth skin that has a naturally tight, toner, and youthful look and feel. Many patients, however, can see benefits for a number of problems. In fact, there are more than 20 proven medical uses for BOTOX injections. This includes chronic headaches and migraines, especially in aging patients- a patient that suffers from long-lasting headaches of 4 hours or more might want to consider this treatment. A chronic migraine patient is anyone who suffers these headaches that do not seem to end at least 15 times in a given month. With Botox being used for headaches and/or migraines more and more, Dr. Gorin and his team hope to alleviate your head pain in a short, simple procedure. Additionally, BOTOX is also the only FDA-approved treatment for hyperhidrosis, or profuse sweating in the underarm (armpit). Here, injections block chemicals that trigger sweat glands to prevent embarrassing sweating in this area. Can you imagine being able to wear any color and fabric shirt you want without having to worry about sweat rings? It is important to note that while your underarms will not sweat after an injection, the rest of your sweat glands and nerves will not be affected, so the rest of your body will continue to sweat as it normally does. Along with external fixes and headache relief, it has also been FDA approved to treat overactive bladder symptoms, blepharospasm (abnormal spasm of the eyelids), and Focal Spasticity (condition in which certain muscles in your body become stiff or tight). Since 1989, it has been used to correct Blepharospasm, or involuntary spasms of the muscles around the eye, resulting in uncontrolled blinking, narrowing, and even closing of the eyelid. It is a condition that can be difficult to understand and a challenge to live with, but it is treatable and an easy condition that Dr. Gorin can fix quickly and easily. Focal Spasticity is also a painful condition to live with, but like migraines, overactive bladder symptoms, and Blepharospasms, It can also treat the areas of the body which become stiff, mostly in your elbow, wrist, fingers, thumb, ankle, or toes. It can be injected into muscles to treat increased muscle stiffness. Most patients undergo a series of tiny injections at target areas in their face. There is no need for anesthesia or medication to undergo a procedure. In the average patient, the desired look remains in effect for 4 to 6 months. For each individual patients, side effects vary with each patient, and some patients may present risk factors that increase the chance of a negative result. For example, an existing skin condition, extreme fear of needles or other issue could lead to complications; this is why Dr. Gorin and his medical experts take care to get to know their patients prior to the procedure, discussing your health and body as a whole, and take into account all factors when deciding what would be the best plan of action for you. There are occasional side effects such as temporary bruising, swelling and minor pain, but these tend not to last long after your procedure. There are some issues with drooping eyelids in a small percentage of all patients, though many report no droopiness within just 3 weeks of the injections. Whether you are interested for cosmetic reasons, to reduce sweating or to clear up migraine pain, our clinic is happy to help. Please contact our Tualatin experts today to schedule a consultation! In 2009, the FDA approved Dysport for two separate indications: spasmodic torticollis, also called cervical dystonia, and glabellar lines. Spasmodic torticollis, a painful condition in which your neck muscles contract involuntarily, causes your head to twist or turn to one side. Cervical dystonia can also cause your head to uncontrollably tilt forward or backward causing neck and head pain. With Dysport, these pains and muscle spasms could be entirely relieved. This drug has also been approved to address glabellar lines in adults under age 65. Glabellar lines are the short, vertical lines found between the eyebrows extending up the middle of your forehead for a centimeter or so. These lines are often the first wrinkles to appear on the forehead even as early as the mid 20’s often making the person look older and slightly angry. With Dysport, the frown lines between the eyebrows that are minimized, not your unique, beautiful, facial expressions. These treatable issues are similar to the areas in which Botox treats; however, the proteins in Dysport are small and tend to act more quickly. Similar risk factors exist for either injection method, but Dysport does require some more effort on the physician’s part. As a patient, however, your results with either method may vary. 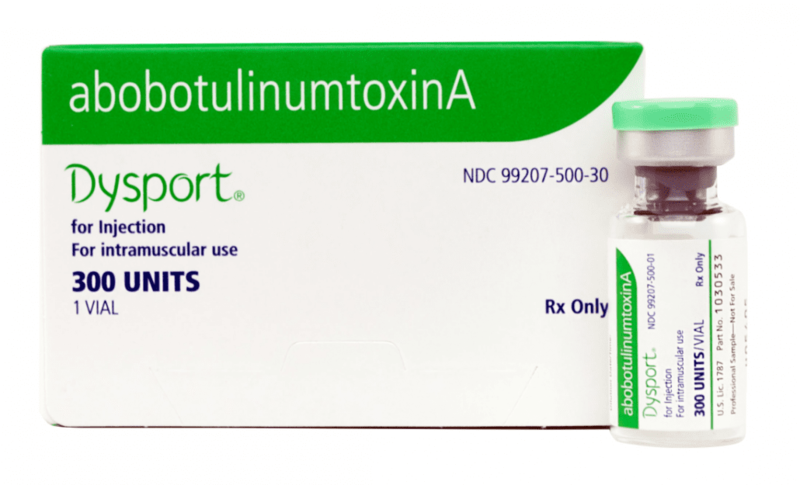 Dysport is slightly less expensive as an overall injection cost, but it is also much newer and does not have the long history of effective use as BOTOX injections. At the end of the day, choosing one or the other will not increase the risk of side effects or failure to achieve your desired results. Ask during your consultation with Dr. Gorin if there is a specific issue that may make one treatment more beneficial than the other in your case. Similar to Dysport, Xeomin is an alternative method for facial rejuvenation by injection. 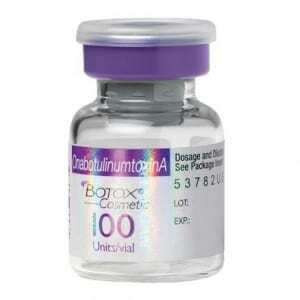 Think of BOTOX as a product that was designed to safely introduce botulinum toxin Type A to human skin. When it was developed, additional proteins and compounds were mixed in to assure safe use. Over time, the developers found a safe way to inject the Type A neurotoxin in a “naked” state, or without the extra proteins, considered to be beneficial since it is both “highly purified” and FDA approved. During treatment, which usually takes about 10-20 minutes, your doctor will inject XEOMIN into the muscles in your forehead that cause frown lines between your eyebrows. No anesthesia is required; however, Dr. Gorin may use a topical anesthetic or cold pack to reduce any discomfort. You may begin to see visible smoothing as early as 3-4 days after the injection(s), sometimes more, but almost always you will see results in less than a week. The maximum effect, however, typically occurs at around day 30 and your smoothed look will last up to 3 months in clinical trials but may last significantly longer or shorter in individual patients. The end result for facial rejuvenation patients comes down to risk and cost. 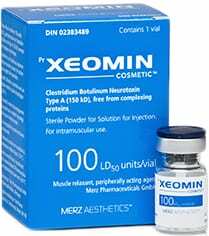 Studies are varied on the overall effectiveness and safety of Xeomin, which is still too new to be used as often as Dysport or BOTOX. Xeomin recently attained FDA approval for upper limb spasticity, meaning it is growing more popular among plastic surgery centers in the U.S. For Tualatin Xeomin patients, Dr. Aaron Gorin, MD, FACS can provide effective consultation and schedule the safe, responsible use of this product for your medical and cosmetic needs.